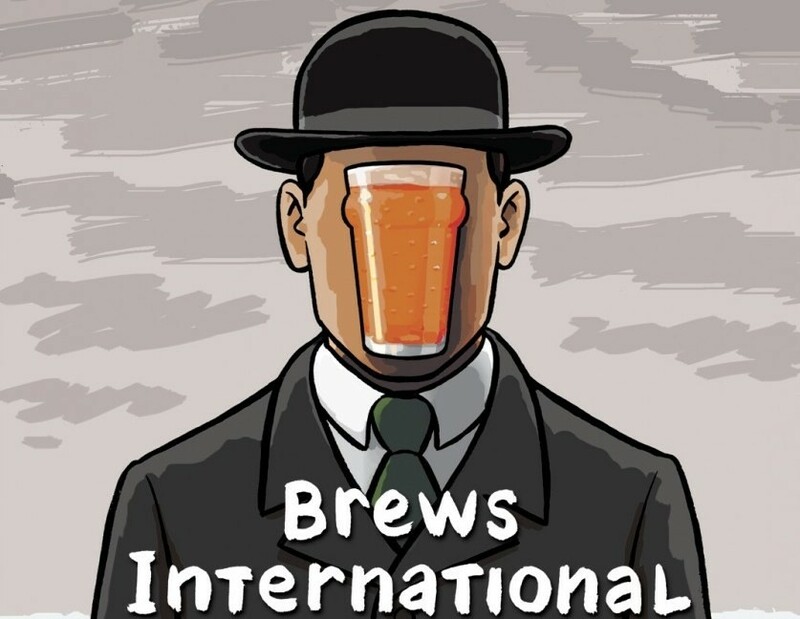 The presence of so many multinational companies in Ireland has, besides much publicised economic impact, brings benefits to the quality and range of beers in Ireland. Incoming staff after trying the obligatory pint of Guinness in (insert name of traditional pub experience) soon long for the broad range of beers available at home and find themselves seeking out the many specialist beer bars and off licences. Irish staff spending time at company locations overseas have the opportunity to explore new taste beer sensations. I know several people in the tech sector that this is a key perk of the job! Indeed, some companies arrange craft beer Fridays for their staff. However, a further benefit presented itself over the past month. We all know that multinational companies also are vital sources of job creation and one of the newest MNCs to arrive in Ireland just went and hired @Beermack_ The final round of interviews took place in San Francisco (read the adventures of the Frisco Kid here http://beermack.wordpress.com/2013/09/25/san-francisco-beering/). Alex of course found space in his luggage to bring back some rare beers on this side of the Atlantic, which means for yours truly I got to try one of those fabled beers that features on many a beer “bucket list”. 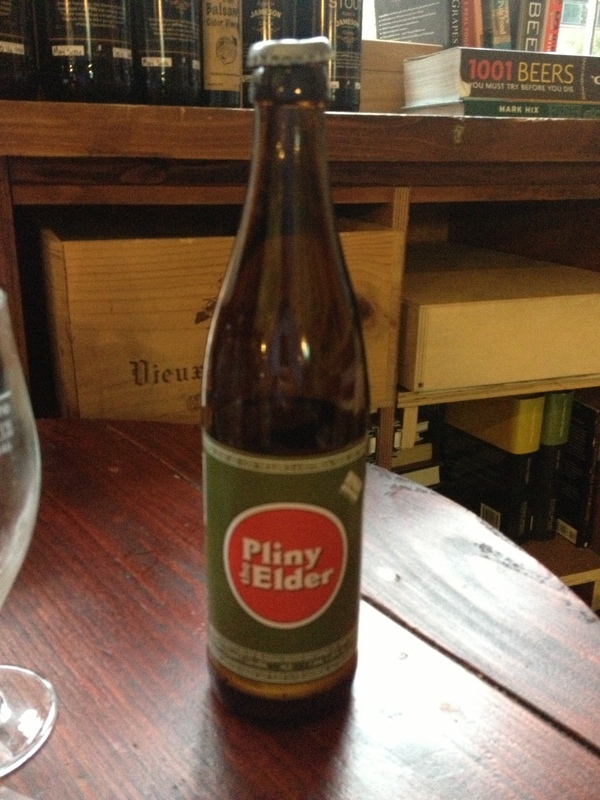 Pliny the Elder is the creation of Vinnie Cilurzo, the man credited with crafting the first Double IPA during his days at the Blind Pig brewery back in the early 1990s. He didn’t brew his second DIPA which was Pliny the Elder until 2000, shortly after he acquired Russian River Brewing from the owners of Korbel Champagne Cellars in 2002. Vinnie had been brewing there since it opened five years earlier. It was under his ownership that this Sonoma brewery was going to make its mark on the beer world. Pliny for me was marked by citrus (a blend of orange and grapefruit), pine and slight peppery flavour. Unapologetically, I don’t have more photos because I was simply enjoying the beer. The beer was sublimely balanced and it is up there as one of the finest beers I’ve had. Now for those that are used to DIPAs and newer stronger or more aromatic hops, this may not be a favourite. However, remember that 13 years have past since this beer was first brewed. Hops such as Citra were only in the development phase at the time. Things are called classics for a reason! Short of working for a MNC, I’m going to have to make do with paying for my own beer pilgrimage to the West Coast to visit Russian River and others. Thankfully Aer Lingus is reintroducing its direct Dublin to San Francisco flight from Spring 2014. So I would be lying if I havent already been checking out the fares and hopefully looking to take advantage of increased competition on the Atlantic.